About: Abbie Adams and her family come from a long line of witches, and she’s having a tough time keeping it a secret from her best friend and the rest of her school. Especially the day her little brother morphs into a wolf and tries to eat his teacher. That’s also the day her father brings home a kitten. Abbie’s been begging for a cat for months, and she falls in love with that fluffy fuzzball right away. But there’s something peculiar about this kitten, and it just might take a witch like Abbie to figure out what it is. 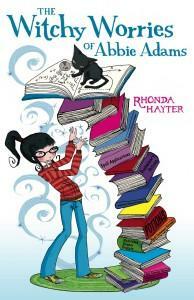 The Witchy Worries of Abbie Adams is a fun and imaginative book that is recommended for ages 9-12. The story and characters are aimed at the tween crowd. It’s a regular novel written at their level in an intelligent way. This book will help transition your tweens into reading adult novels and will build their love of reading. I will be giving this book to my boyfriend's nieces this Christmas. I’m hoping we’ll be hearing more about Abbie Adams... it would make for a great series! 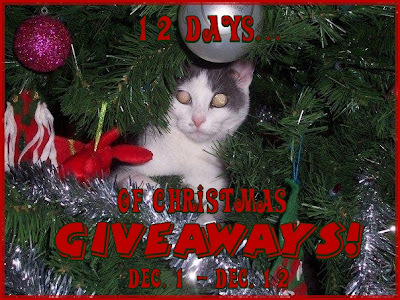 The Witchy Worries of Abbie Adams has sponsored my '12 Days of Christmas Giveaways'! One lucky person will get the opportunity to win their very own item! "Win your own copy of The Witchy Worries of Abbie Adams @kimmie_1980 http://tinyurl.com/2cmbpel (12/19) #giveaway"
The Witchy Worries of Abbie Adams, is sponsoring my '12 Days of Christmas Giveaways' event, and offering a product to one of my readers. I did not receive any compensation or incentive nor was I required to write a positive review. Individual results or experiences may vary. I already follow your blog, via GFC.